I chanced upon your blog while doing a blog hop. 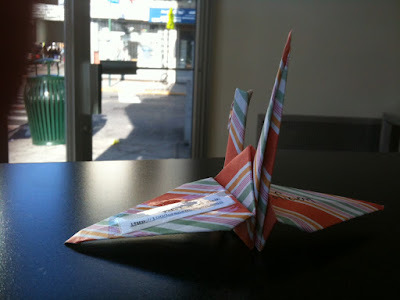 I think your 1000 cranes project is wonderful. 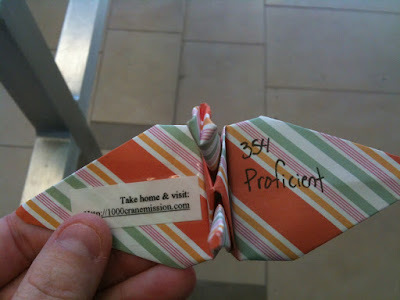 I make cranes out of paper fliers that we get in the newspaper and I leave them in places where I hope people will find them and pick them up.